Welcome Home Series handlesets are the perfect addition to your front door to create a unique and fashionable entryway to your home. Each is stylishly designed to provide maximum-security protection. There are many styles, finishes and configurations from which to choose. Exquisite design combined with a distinctive profile, the Troy knob executes strength and beauty This passage knob/lever is best used in interior hall and closet applications where no locking is required. The knob/lever is reversible and mounts on both left and right handed doors. The Venetian Bronze finish is hand-rubbed to reveal unique bronze highlights and provides a rich and warm complement to the product's style. Collections by Weiser offers five handlesets to choose from. These handlesets offer solid forged brass construction and Grade 1 cylinders for uncompromised security.Exuding a sense of timeless beauty, the oval shape and sophisticated lines of the Brixton knob make a lasting impression. This half-dummy, or trim function, is surface mounted on doors where only a pull is required. The Venetian Bronze finish is hand-rubbed to reveal unique bronze highlights and provides a rich and warm complement to the product's style. Troy Passage Knob in Venetian Bronze Welcome Home Series handlesets are the perfect addition to your front door to create a unique and fashionable entryway to your home. Each is stylishly designed to provide maximum-security protection. There are many styles, finishes and configurations from which to choose. Exquisite design combined with a distinctive profile, the Troy knob executes strength and beauty This passage knob/lever is best used in interior hall and closet applications where no locking is required. The knob/lever is reversible and mounts on both left and right handed doors. The Venetian Bronze finish is hand-rubbed to reveal unique bronze highlights and provides a rich and warm complement to the product's style. 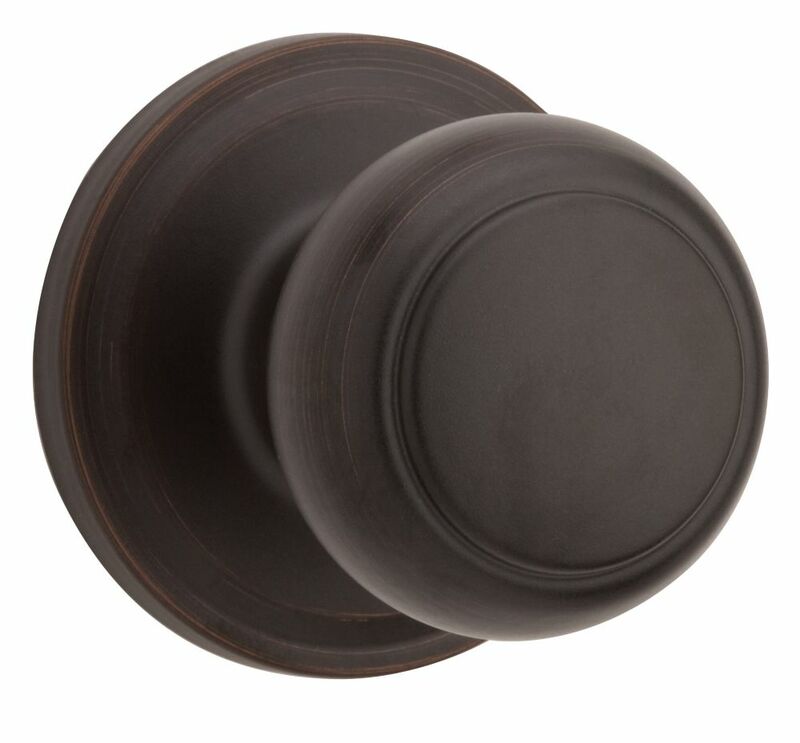 Troy Passage Knob in Venetian Bronze is rated 3.0 out of 5 by 1. Rated 3 out of 5 by Gordon Halifax from flat brown colour The knobs look like they're flat brown in colour, no distressed bronze comes through at all. Also, many of them seem to slide around on the door, scraping the paint off the door near the edges of the knob plate. So overall, not really what we were hoping for.